Years ago, during the period in between my two times in religious life, I was enrolled in the Brown Scapular at some kind of youth event. If memory serves, it was animated by the Franciscan Friars of the Immaculate and at Our Lady of Mt. Carmel in Hamden, Connecticut. Given certain Carmelite tendencies, such as my gratefulness for John of the Cross and Edith Stein, I was always happy to have this special association with Our Lady of Mt. Carmel and the Carmelite family. 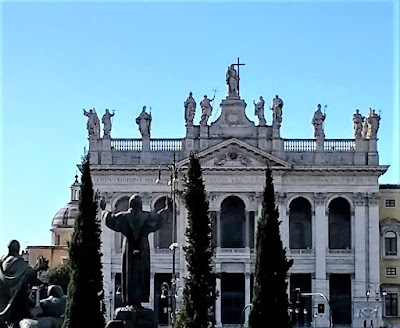 However, at some point after I had landed in the Capuchins and my second (and current) time in religious life, I began to be troubled by a certain doubt. The Scapular is a sort of a habit, after all, so did my investiture in it remain after I was invested in the Franciscan habit? Surely a person can't be invested in two different religious habits. On this point it occurred to me somewhere along the way that the reception of the Scapular, in English anyway, is not called an investiture but an enrollment. Canon 685 § 2 is part of the section of Canon Law that treats of the transfer of a religious from one institute to another. It reads, [t]hrough profession in the new institute, the member is incorporated into it while the preceding vows, rights, and obligations cease. Now I knew this didn't exactly apply to my case, because I had never been a member of a Carmelite religious institute, but I wondered if, in the spirit of the canon, my full incorporation into a Franciscan institute nullified the obligations and benefits of the Carmelite belonging I had received with the Scapular. I read whatever documents I could find that seemed related to the matter in one way or other, but I wasn't able to decide for myself. I didn't lose sleep over it, but I continued to hope for a solution, because if I continued to wear the Scapular for which my enrollment had been dissolved, that could be superstition, and if I didn't wear it even though my enrollment remained, that would be impiety. 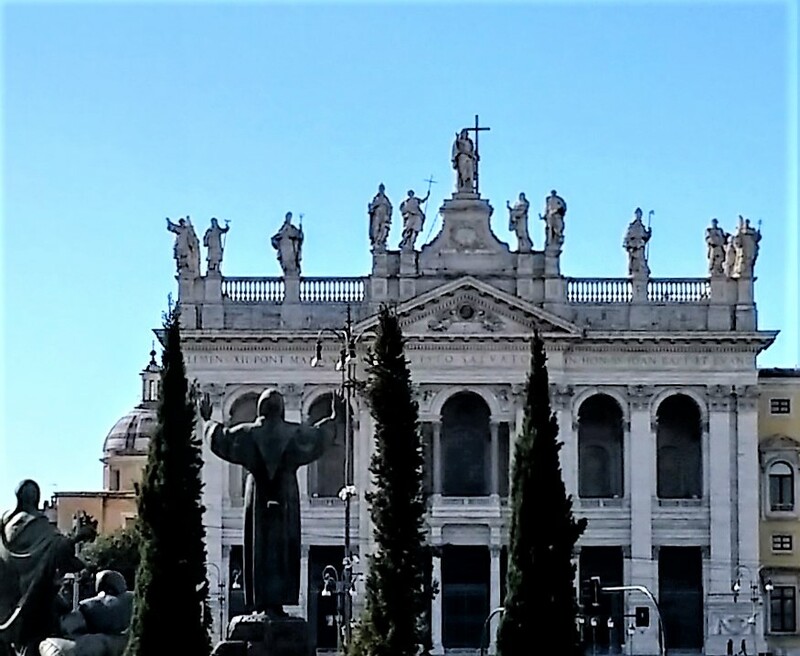 I asked everybody I had access to whom I thought might have some pertinent expertise; Carmelites, canonists, even a member of the International Theological Commission. Some gave me good points to consider, but mostly I felt like my dubium wasn't being taken seriously, which, as a Catholic, really pushes my buttons as they say. Finally, one day I thought of writing to the Holy See to ask for a definitive answer. Probably I would never get a reply, I said to myself, but even this would be an answer in the sense of a sort of permission to make up my own mind. If the Holy See didn't want to give me an answer, then I supposed I would be free to decide for myself. So, in the quieter time in the office around the new year, I wrote a letter to the Congregation for Divine Worship and the Discipline of the Sacraments. 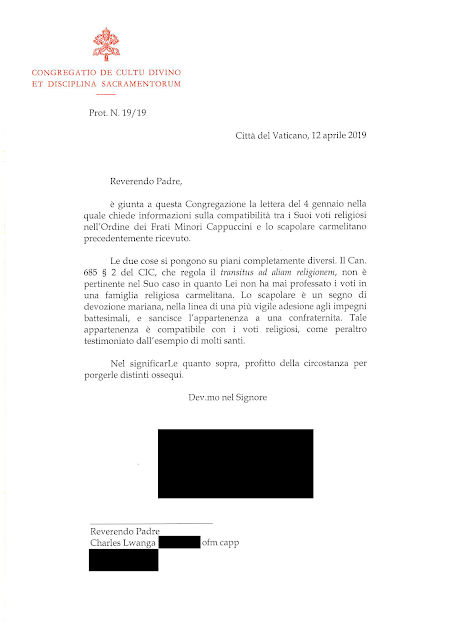 There arrived at this Congregation the letter of January 4 in which you ask for information on the compatibility between your religious vows in the Order of Friars Minor Capuchin and the Carmelite Scapular previously received. The two things present themselves on completely different levels. Can. 685 § 2, which governs the transitus ad aliam religionem, is not pertinent in your case inasmuch as you never professed vows in a Carmelite religious community. The Scapular is a sign of Marian devotion, in the sense of a more vigilant closeness to the baptismal commitment, and formalizes the belonging to a confraternity. This belonging is compatible with the religious vows, as has been, moreover, witnessed to by the example of many saints. In communicating this you, I take the opportunity to extend my sincere regards. All those saints, pray for us! Our Lady of Perpetual Help, Quaker Hill, Connecticut. Summer 1992. A few days ago I heard that Deacon Ron was nearing the end of his journey in this life, and since then the friars and I have been praying for him and his family. Today I see that he passed away on Thursday. I was a dumb kid. I thought I was very smart, as young people often do after they have learned a little bit of this or that. But I was quite innocent, and, as the saying goes on the worst kind of ignorance, I didn't know what I didn't know. But nevertheless, God was at work and I knew I wanted to become a Catholic, even though I had no idea what I was getting myself into -- and this is divine mercy, for if it was all revealed to us, we might be overcome with fear. 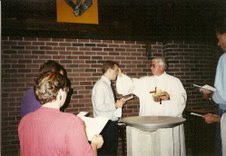 I have told my conversion story elsewhere -- light version here -- and how I came to be in the pastoral care of Deacon Ron. He and his wife received me into their home with great kindness over that summer of 1992 when I stayed at school in New London and was employed by the reference department in the library. I must have seemed on odd figure to them, with my good old 8-hole ox blood Docs and I shudder to think what t-shirts ill-suited to the occasion, with a lot of book-learning about the faith (or so I thought) but quite short on any practical sense of such a Church being made up of actual people. Nevertheless, Deacon Ron and his wife were extraordinarily gentle and welcoming, and from their example I learned more than I realized at the time. Deacon Ron was the first person I met who had a real personal devotion to a saint -- St. John Vianney -- and I observed how that fit into someone's ministry and prayer. It has always stayed with me; I think because I could understand, even somewhat at the time, that he wasn't exactly saying that it was beautiful that this random kid from up-at-the-college had been baptized, but that in this he was able to see through to divine beauty. That is to say, in theological terms, that a sacrament had happened. When Deacon Ron let out about the divine beauty he glimpsed in that moment, I learned something -- even if in such a way as to not be very aware of it at the time -- about the spirituality of the sacred ministry, the ministry which, some fifteen years later, the Order would assist me in discerning as my own path in religious life. It was a very special joy for me when, still a very new priest, I had a chance to return to Our Lady of Perpetual Help, where Deacon Ron had baptized me, and celebrate the Sunday Mass with Deacon Ron's assistance. And not to forget the particular service of being the wife of a permanent deacon, Ron's wife helped me out with the particular 'volunteer from the audience' shtick that I used in my homily that day. You have passed away from us for now, Deacon Ron, but the fruits of your ministry and your good example remain. May St. John Vianney welcome you to your service at the Heavenly Altar. Those who deny, ignore, or hate God are still happy to make use of the good things he has given them. In fact, we have all done this because we have all used or sought gratification in ourselves, from other people, and in other created things apart from the proper identity and purpose with which God creates these persons and things. And this is what we call sin. We tend to think of repentance as a returning to God, but it is more properly a 'coming to our senses,' a 'coming back to ourselves' that puts us back in touch with our most real and best selves, the true selves that God created and that recognize that this God is always arriving in order to meet us. Sin is a sort of death. Repentance is a participation in the Resurrection. The confession of the sins that have separated us from God's embrace is only of interest to him insofar as it is the means by which we accept that embrace anew. It is just as easy for 'religious' people to lose their sense of God's goodness as it is for 'sinners.' Perhaps even easier. This is because righteous people easily forget that they are just as much sinners as are the 'sinners,' first, because all sin is overwhelmingly offensive before the infinite loving-kindness of God, and second, because people who ought to know better are that much more guilty. It is also because righteous people sometimes don't recognize--and confess--that the righteousness of their religion (as it is for everyone) is mixed with some elements of the flesh, such as fear, vainglory, or pride. Helpfully, however, this latter condition is revealed by the emotion of resentment that arises at the gifts God gives to another, and in this it can be recognized and perhaps mortified. On the following day, therefore, the man of God was presented by that cardinal to the pope, to whom he revealed his entire holy proposal.